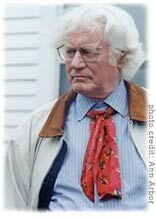 I remember watching this video of Robert Bly when I was in my early twenties. He was asking the audience, “So, you want to be a poet? Do you have about fifty years?” Yes, of course, I thought to myself. I do have fifty years if that’s what it takes. I’d been writing poems since I was seven, and I knew I still had quite a few more bad poems to write—real stinkers—before I got any good. Bly was one of my first teachers. Although I never took an actual class with him, I saw him read at Rutgers when I was fifteen, and it pretty much sealed the deal with what I wanted to do with my life. All Iron-Man John jokes aside, his attitude toward poetry, that it requires patience and some degree of stepping away from one’s ego, and that it takes a long time to become a master, have remained a central part of my creative practice. But Bly was not my only early and influential teacher. Add to the mix William Stafford, Richard Hugo, Denise Levertov, Diane Wakowski, Adrienne Rich, and many others who are in my brain and bones without my even remembering their names. I have a line in my head from a poem published in the New Yorker around thirty years ago: “We are always following darkness thinking it is the road.” Couldn’t ever shake that line. If you know who wrote it, please let me know! Thousands of lines of poetry circle around in my head as I sit down to write, plus I am always finding new poetic voices to relish and enjoy. Sometimes I don’t even know who or what I am stealing from. Mostly it’s the sounds of words I’m making off with, not the words themselves. Thank goodness Richard Kenney had us memorize a poem a week in his class, because then I had Wallace Stevens’, W.B. Yeats’, and John Clare’s sounds to steal from too. All of these fine poets and their enviable poems helped me find my voice, an amalgam of hundreds of original, one-of-a-kind ways to approach this ultimately undefinable genre called poetry. Add to the mix Andre Breton and Miroslav Holub, two of my favorite surrealists. Also, a good dose of Simic—especially early Simic—and Heather McHugh, David Wagoner. For years my goal was to be published in his Poetry Northwest. I read and studied every issue I could get my hands on, often buying up back issues in used bookstores and thrift shops. Thanks to his keen editorial eye, I read Allison Funk, Molly Tenenbaum, Robert Hershon, Jorie Graham, and many other well-known poets early on in their careers. Who was reading Bob Hicok in 1990? David Wagoner, that’s who. He was publishing him in almost every issue, along with Mark Kraushaar, whom I also read with awe and envy. This went on for years. I published my first poem in a magazine called The Amaranth Review. Don’t tell me you’ve never heard of it?! Publishing credits ever so slowly dribbled in—Hanging Loose, Jeopardy, Denali, Hubbub. Once I had a few magazines to list in my bio, I went up a notch or two. Soon I was hawking my wares at Poetry and The Kenyon Review. Sometimes the rejection slips contained a few words—try us again. You bet I did. I was at a dinner party not too long ago where I found myself talking about my incremental process of becoming a poet. “I worked from A to B,” I said, “You know, baby steps—my first publication was in a community college magazine. I was ecstatic!” Her question--Why the hell not A to Z?— rattles around in my head. Why NOT A to Z , Martha Silano? Because the pier is long, I am barefoot, and there are splinters. Because the underground bunker is dark, and maybe part of the floor is gone, and shoot, I forgot my flashlight. Maybe because Robert Bly said it didn’t work that way. That I needed to think in terms of decades, not months or years. 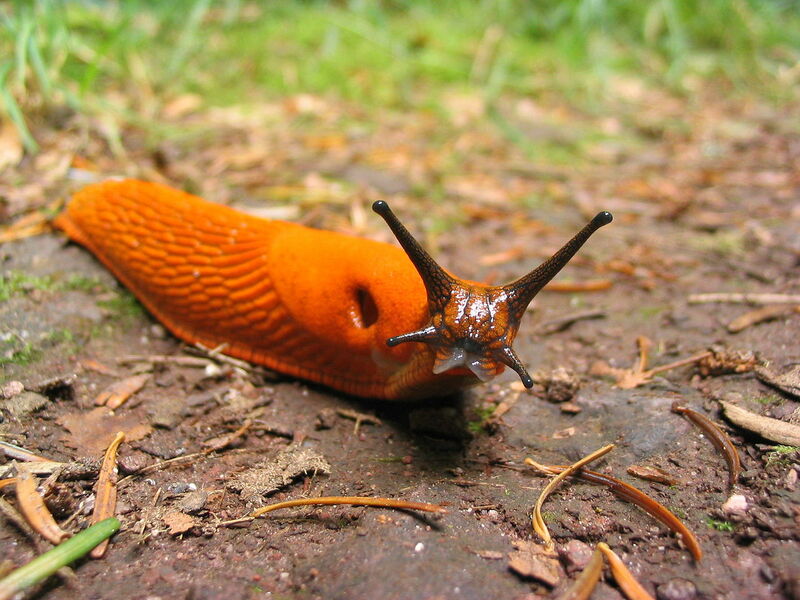 Is there anything wrong with moving along like a slug? They are not the prettiest of creatures. But have you ever noticed? The trails they leave behind glisten in the sun. Martha Silano’s most recent books are Reckless Lovely (Saturnalia Books 2014) and The Daily Poet: Day-By-Day Prompts For Your Writing Practice (Two Sylvias Press 2013). Martha edits Crab Creek Review and teaches at Bellevue College. “What Falls from Trucks, from the Lips of Saviors” appears in North American Review’s most recent issue, 299.3, Summer 2014.